World War I’s Eastern Front was located in the midst of the Russian Pale of Settlement, where up to a third of the urban population was Jewish. The war resulted in thousands of civilian deaths and severe damage to the entire region’s economy. Urban populations suffered the worst from artillery shell-ing, requisitions, and outright robbery. In addition, each retreating army made an effort to destroy all that it could before surrendering a city to the enemy, lest valuable resources fall into hostile hands. As early as the first months of the war, a large portion of the Jews in Warsaw, Lodz, and Vilna were bankrupt and destitute, becoming fully dependent on welfare societies. 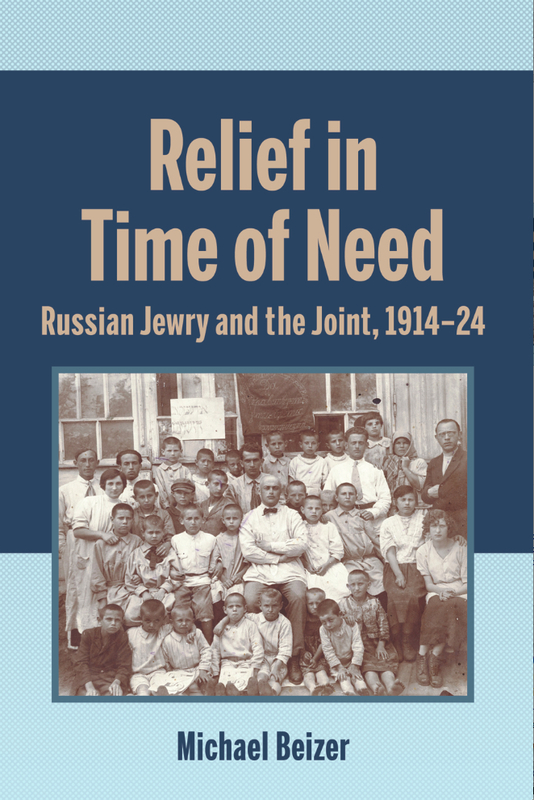 This book is Volume 5 of the series New Approaches to Russian and East European Jewish Culture. A recently published review of the book by the American Jewish Joint Distribution Committee can be accessed here.